Microsoft has loosened up its procedures for Office 365 subscribers to upgrade subscription plans using a wizard in the admin portal. 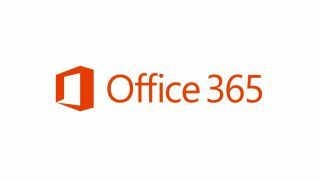 It announced the change on an Office 365 blogpost, which indicates that it's possible, among a range of other changes, to switch from Small Business P1 to Small Business P2 but not to downgrade. Once the new plan is purchased, users are automatically reassigned and the company receives a credit for the unused portion of the previous subscription. Previously, customers had to manually reassign licences and call Office 365 support to cancel the old subscription. Microsoft says it is the first in a series of changes to make it easier to switch plans. Paul Andrew, Technical Product Manager for Office 365, says in the blogpost that Microsoft has made the change to give customers flexibility as their business changes. The company has been expanding the options around Office 365 in recent months, integrating the service with Windows 8 OneNote and the Yammer enterprise social network, and adding a range of business intelligence tools. Take a look at methods for migrating to Office 365.